Gigs booked and lots of venues want us back. 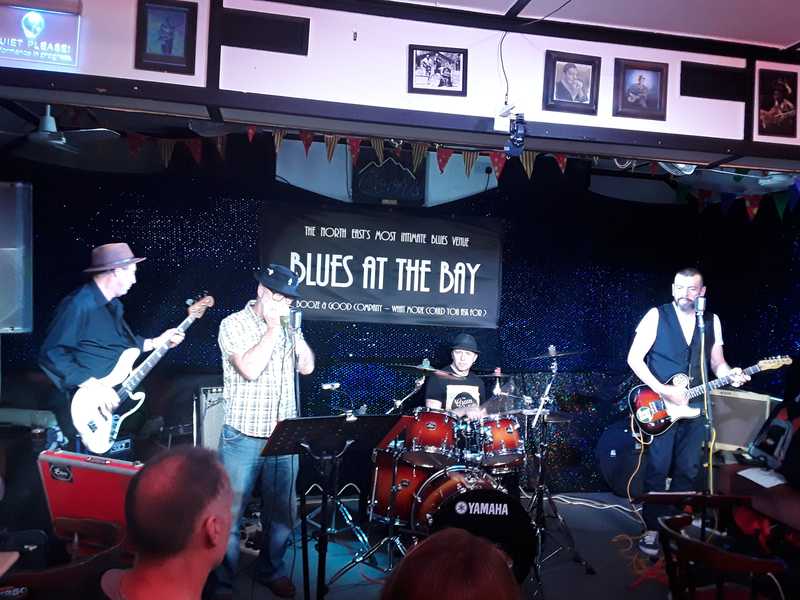 Videos taken from the gig at Blues at the Bay in Yarm. Great venue. Full sets are available on youtube - search The Green Bullet Blues Band. Radio play on Switch Dunmow Radio. Set list includes songs from Paul Lamb & The King Snakes, The Blues Brothers, Nine Below Zero, Joe Walsh, Sonny Boy Williamson II, The Red Devils, Free, ZZ Top, Sam & Dave. Great mix, quality entertainment. 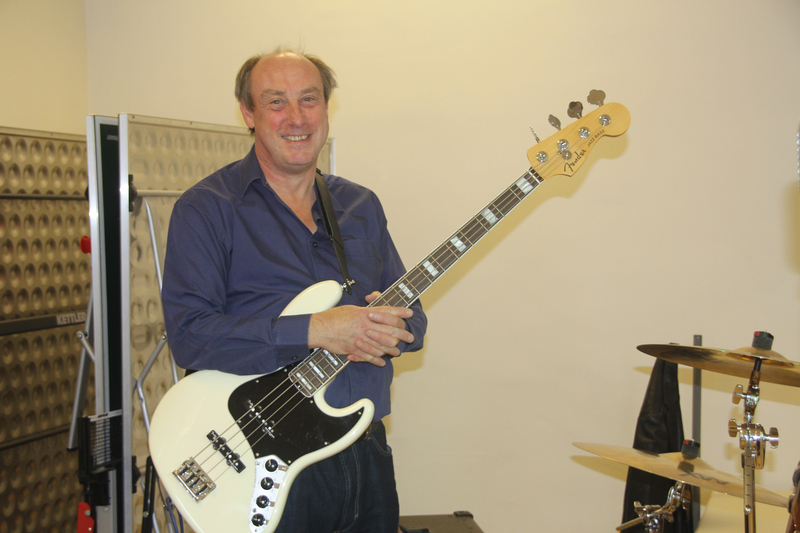 Experienced and competent bassist. Mostly played classic rock and blues. Would be interested in getting a 4/5 piece with female lead vocals. 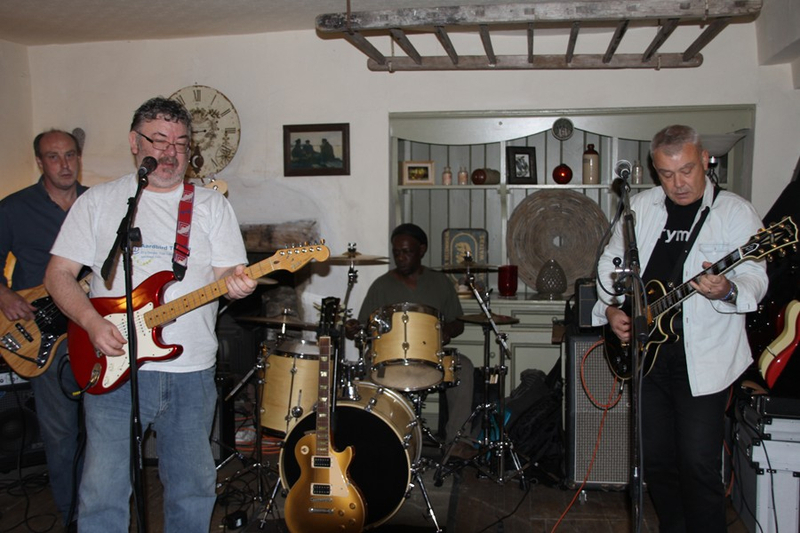 Having founded both Turner Street Crash and TCR, both successful covers bands in South Wales, now joined with Backwater Blues duo, Mick (guitar/vocals) & Garry (harmonica/vocals), and Donny drummer Damien to form The GREEN BULLET BLUES BAND. I'm 62 so would probably suit older folk but open to anything fun. Past set lists have included the likes of :- Dr. Feelgood, Free, Bad Company, Cream, Allman Brothers, Eric Clapton, Led Zeppelin, Aerosmith, ZZ Top, Family, basically anything with feel, spririt, fun, energy - classic pub rock stuff, blues, and classic rock but not the commonplace, athough old standards have been included from time to time. Influences - of the classic rock/R&B/blues bands -guitarists from late 60s, and their modern exponents like Joe Bonamassa. 70s pub rock bands such as The Stranglers, Dr. Feelgood, Ducks Deluxe, and the greats - Free, Led Zep, Allman Brothers - the list goes on. Fender (2JB 3PB), Gibson ('77 Recording bass), Rickenbacker ('83 4001), Musicman (bongo Spec ed 5-string), Wilson ('68 s/a), G&L (Asat), Lakland, Cort (fretless) basses; Roland amplification. Full PA.
My Lakland bass was used by Rick Knapp of The Walter Trout Band on the 2008 UK Tour. I saw them in Cardiff and agreed to buy the bass when chatting with him after the gig, then went up to Shepherd's Bush to pick it up after their final UK gig. Version recorded of Fruity Buckfoot song (see youtube for original and our version) for a charity album Fruity arranged for a local hospice. Well known song but this is based on the Maz Mitrenko version. Worth listening to if you get a chance. Another from a TCR rehearsal. The beautiful Nicoletta wants us back again. Dates mix-up. So sorry Nicoletta. Invited back for another go. Good fun last year. Early booking after successful gig. Third visit for the year. Anj really liked us on our 2018 visit. First visit in 2019. More to follow. Back injury puts paid to gig. First gig in York, a lovely city. Had to cancel for medical reasons. Gutted. Back again - I think they like us. 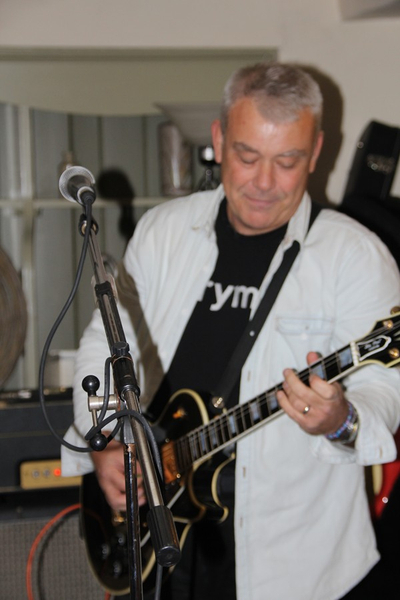 A club gig - could be good to get on the club circuit rather than pub. Not sure why the venue has cancelled us. Shame. Return visit - hopefully no snow this time. Good music venue. Nice to get a gig there. Looking forward to this intimate venue. Good music supporter. Gig at the Cleveland Bay in Yarm. Top venue for blues. SInger's wife ill so had to cancel. Back to play for the gorgeous Nicoleta and to sample some lovely ale. Top pub. Invited back for a second visit. Looks a really good, fun day out. Last minute cancellation pick-up. Bonus gig. Early evening session in the marquee. Long journey - pub shut. FIrst visit, back in December. Good pub, excellent home-brewed ale. GREEN BULLET BLUES BAND are LIVE. Top venue for music - really looking forward to it. This si a top venue for live music and great to get a gig here. Looking forward to getting on the Risca circuit. Good pub in Newport city centre. Always a good crowd. My local. A tidy pub with good food and ales and a great local crowd. Third visit of the year! Great pub - nice food, good beer, great crowd. This is a top venue for music in Wales. Really looking forward to it. Good venue, encouraging local bands. Rescheduled from November due to double-booking by venue. Hog The Bridge Day - loads of bikers in a ride over M4 Severn Bridge ending up in Chepstow - there will be a great atmosphere here. A swift return for the band having played there 29/09 and went down very well - hence this invite and 2013 gigs to follow. Lovely pub, good fun and ale. Great little pub - good food and good ale, too. FIrst gig for the line-up. Looking forward to it greatly. Back to one of Newport's best music venues. Billy's doing a great job building the venue's reputation. First visit - if you miss us here, see us at The George the following day. Return to a pub that loves its music. Great fun to play there. Charity Event in support of Breast Cancer. Band plus disco - tickets £5. Back by popular demand - no, really! Return to the venue. Lookign forward to it. 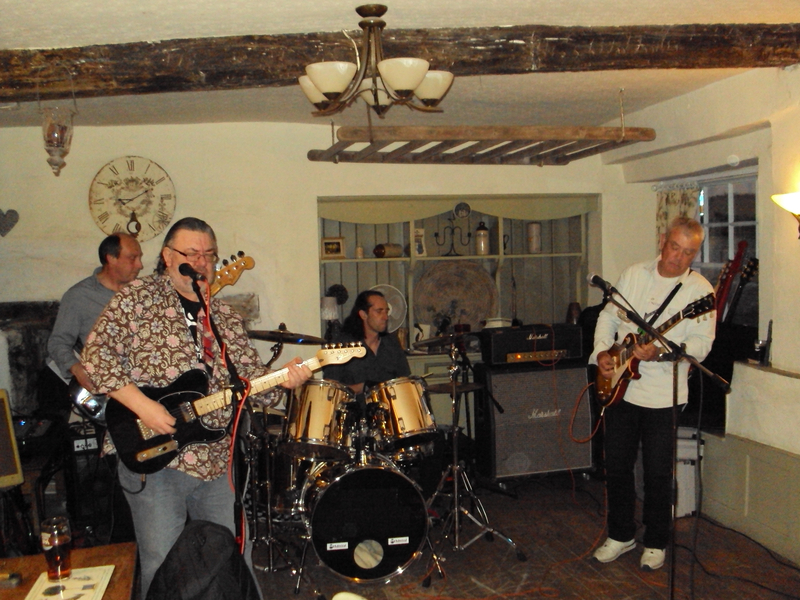 Sunday 14 Aug 2011 23:30 - Gig - KIngs Head, Coleford, Glos. Return to the Six. Good crowd there. Rearranged date due to refurbishment at the Riverside. Thursday evening gig on Risca Road, Newport. First visit. Debut for Rob. Quick replacement gig for Riverside refurbs. Hometown gig. Venue just been taken over and lookign to get a music venue going. Support the band and the new landlord at a popular music venue. Easter Saturday - enjoy the holiday with a great gig. Great fun gig - thanks for a superb reception. We really enjoyed playing for you and hope to see you all again soon. Home gig for the band. Top gig - great fun, good local crowd. Come for a pint and some great music after the match (Wales -v- Ireland) - close to the Millenium Stadium.